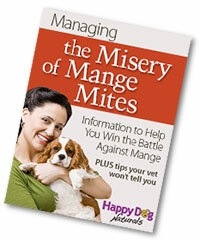 What you need to know about Demodectic mange mites before you start a treatment plan. Demodectic mange is a potentially dangerous inflammatory skin disease that can upend a dog’s life and its family’s. Demodex is complicated, confusing, and surrounded by an amazing amount of misinformation. We hope to clear some of that up and that you learn something new and helpful. We commend you for digging deep and learning all you can about healing your beloved pet. Demodectic mange is no match for Mite Avenge. Get Mite Avenge and use our holistic approach like Gustav’s mom did. Densely packed demodectic mange mites in hair follicle. Demodectic mange (also known as demodicosis, follicular mange, red mange and puppy mange) is caused by an overabundance of a mite your dog has always had. Every mother dog passes a few of the microscopic parasites to her puppies, as Mother Nature intended for dogs to always have a few of them. The dog’s immune system is supposed to keep the population low and harmless, therefore most dogs have no reaction to them. But dogs with underdeveloped, suppressed, or compromised immune systems are prime victims for a population explosion of unchecked parasites. 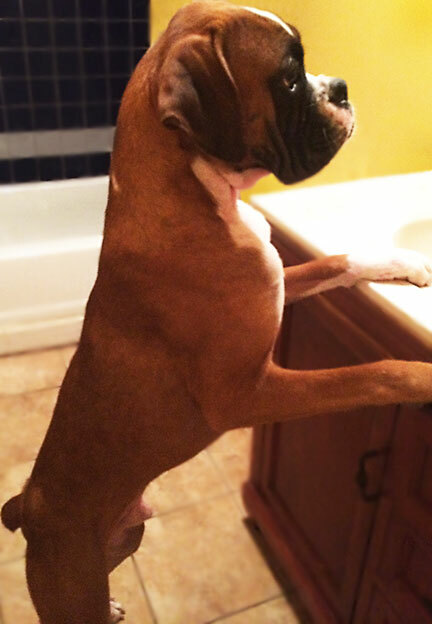 Demodectic mange does not come from dirty homes or poor ownership. All dogs that develop Demodex have an immune system issue. The most common victims (in this order) are young dogs (especially rescues) with inadequate or underdeveloped immune systems, certain breeds, dogs with other health conditions, and older dogs whose immune systems are naturally declining. Long term resolution requires building up the immune system. Learn how to support your dog’s immune system health here. Demodectic mange is not contagious. Dogs do not have to be isolated. People & other pets can’t catch it. The mites are not in your home. There’s no need to treat the dog’s bedding or living space for mites, because live mites are only in/on a dog. Demodex appears in two different forms. The localized form can grow to become as this is a progressive disease. 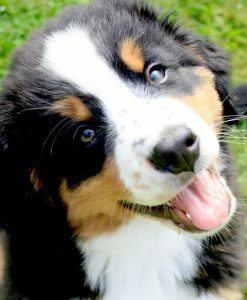 The localized form is more in common in puppies. Localized means 1-5 small spots, generally found around the eyes, lips, or legs. The lesions may or may not be itchy. Generalized demodicosis is a severe disease characterized by massive patchy or significant hair loss and skin inflammation. Secondary infection is often present. Patches of hair loss and inflammation develop which often coalesce into large areas of thickened skin and sores. Secondary fungal infections of the skin are routine and secondary bacterial infections are almost as common. Affected dogs can develop discharging lumps on/within the skin. Bleeding from these lesions is not uncommon. As with the localized form, lesions often start around the head, face, and feet, but often spread to involve large areas of the body surface. The ears can also be affected with this parasite, resulting in secondary infections. Itchiness and pain. An odor is a frequent symptom as well. Left untreated, the disease has the potential to cause severe discomfort, become a lifetime chronic problem, start a snowball effect of compounding problems, and in rare instances degenerate into a life-threatening condition. Demodectic mange symptoms can also resemble other medical conditions. In the absence of a confirmed diagnosis, our Symptom Checker can help you narrow down which type your dog has. It also suggests common precursors that aren’t necessarily symptoms. "Thank you! Mite Avenge saved Kenzie and us!! 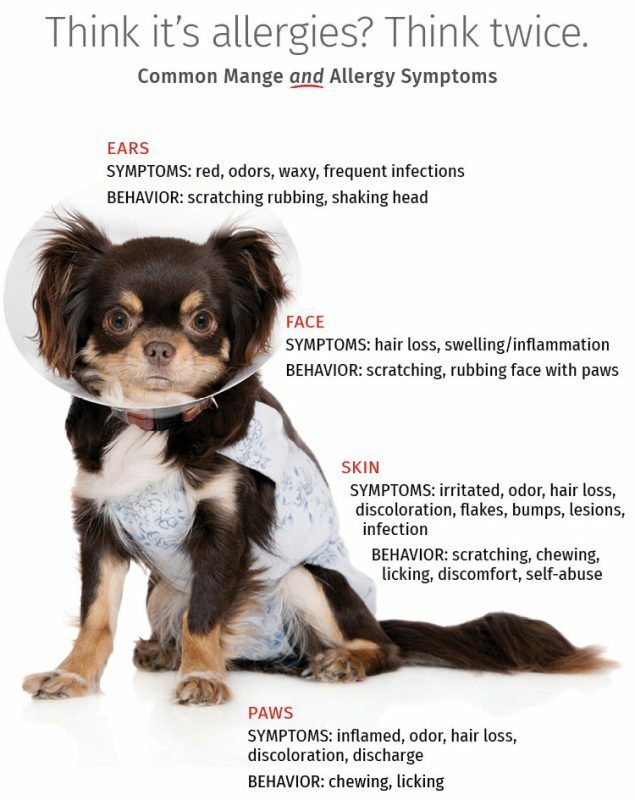 Your dog may have a few or almost all known symptoms in any degree of severity. Skin scraping is the most common diagnostic tool. However, they’re notoriously unreliable. One source claims skin scrapes fails 80% of the time! A negative result does not mean the dog doesn’t have mites. It means that none were found. Demodectic mites are deep and well barricaded which make it hard to drag them to the surface. Even punch biopsies fail to find mites more than they succeed. A positive scrape is actually a blessing because at least you know what to treat. (Usually – it’s not uncommon for the wrong mange mite to be identified.) Many dogs that do have mites are undiagnosed or misdiagnosed meaning they aren’t getting the care they need. And treating the wrong problem robs valuable time and often makes the condition worse in the long run. For example, Demodectic mange and allergy symptoms are so similar that without a confirmed mite sighting, allergies are almost always diagnosed. The trouble with that is if the problem really is mange, the dog is taking drugs that only mask symptoms and when they wear off the problem is still there and often worse. A negative skin scrape does not guarantee your dog doesn’t have mites. Some traditional chemical treatments don’t just suppress the immune system, they shut it down! Resist using antibiotics, except in the presence of obvious, serious infection. Don’t agree to any treatment before you have time to research it. Antibiotics are routinely prescribed too (often when there isn’t an active infection) and you already know they come with unwanted baggage that most definitely harms the immune system. Other health issues with symptoms that look like mange present similar scenarios. Mange snowballs when it’s missed or misdiagnosed because the treatments for the commonly misdiagnosed disorders do more harm than good. Out of frustration, many of our customers end up diagnosing their dogs on their own. When things continually get worse, they realize they’ve been barking up the wrong tree and are forced to figure it out for themselves. The bottom line is, before moving forward with any type of treatment for any condition, please research the risks of the proposed treatments as many can have unintended side effects. The other thing that shouldn’t need to be said is to trust your gut. If something doesn’t sound or feel right, (you don’t even need to put your finger on specifically what), buy yourself some time. Delay, defer, whatever. Demodectic mange affects juvenile dogs under three years of age more than any other age group. The risk of a puppy developing chronic lifetime mange decreases dramatically with strong detox & immune support. Puppies and juvenile dogs under 3 years of age are the most frequent victims of Demodectic mange. They are born with immature, under-functioning immune and digestive systems, both of which are critical contributors to a puppy’s ability to control its mite population even in the best of times. Unfortunately, puppies have some of their most stressful challenges early in life such as re-homing, vaccines, neutering and more. Rescue dogs have the cards stacked against them due to poor diet, lack of health care, and the stressful environments they have endured. Because of the high incidence of juvenile demodicosis, one our most frequently asked questions is about at what age can a puppy be treated. The answer is Mite Avenge can safely be used on puppies over 6 weeks of age. 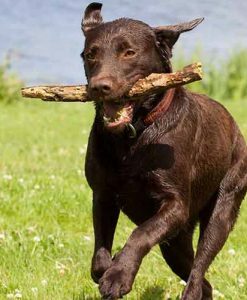 Traditional Treatment – Is it right for your dog? Almost all traditional mange treatments are chemical pesticides delivered in the form of dips, medications and even flea treatments. Every one contains systemic neurotoxins that spread through the body. Even though veterinary science considers them safe to an extent, they can still pose a number of health risks because in reality, they are poisons that systemically spread, turning every cell in the body into a toxic bomb (even though only follicles and sebaceous glands are affected). That alone is scary enough because that means the chemicals can affect any part of the body but the way they work is just as unsettling. Chemicals are immuno-suppressive & do not treat the root causes of Demodex. Herding breeds like Collies, Shetland Sheepdogs, Old English Sheepdogs, and others known to carry the MDR1 gene mutation should never be treated with chemicals. Mange can get worse during any method of treatment. Here’s a great blog post that explains it. First, it’s important to explain that Demodectic mites are different from other types of mange mites. They are not carnivores and are not eating your dog. They consume the body’s by-products – things like cellular proteins, systemic yeast, dietary yeast and/or sugar in the system. So for chemicals to work, they have to be in the body at high enough levels, for a long enough period of time before they become part of the dog’s sebaceous fluids, skin cells or anything else they ingest. It’s what we call an indirect kill. The chief ingredients in chemical mite treatments are neurotoxic pesticides that damage the mites’ central nervous system, causing a paralysis and death. That’s the upside. The downside is they can do the same thing to a dog. Fatalities are not common but they do set the dog up for several undesirable scenarios. Undesirable Side Effects – The neurotoxins that kill mites can also cause neurological and physiological reactions in dogs. Some of our customers’ stories would break your heart because the damage done is irreversible. Among the 50 or so known side effects associated with antiparasitic pesticides, most originate in the nervous system. The weakness of one or more limbs, paralysis, balance disorders, vision disorders, pain, and seizures are among the neurologic side effects. 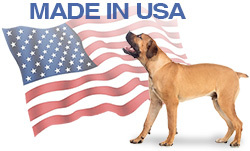 Heartworm preventives and flea treatments contain the same chemicals used to treat mange. But the doses for those purposes are minuscule compared to treating Demodex. For example, a heartworm preventative for dogs is typically dosed is around 6 µg/kg. The recommended for off-label dose for Demodectic mange, 400-600 µg/kg. This is where toxicity can set in. These drugs are not approved as a mange treatment for dogs but are widely used. Toxin Overload – There is no control over the kill rate if, and when, the pesticides kick in. Hence, there’s no way to regulate the number of toxins and mite waste that is released when mites die. The dog’s systems are already diminished and a flood of toxins and pathogens can cause die-off symptoms and/or force treatment abandonment. Even worse – if a dog endures a high toxin load for an extended period of time, its immune system can be permanently damaged. 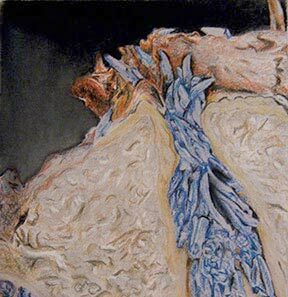 Resistance to Treatment – Anything that lives also adapts to threat. Through repeat exposure, mites are quickly becoming resistant or immune to synthetic drugs. The drugs don’t work and the poor dog has been pumped full of chemicals that only put the dog at risk. This undoubtedly plays a part in their unacceptable failure rate. The Treating-the-Symptoms Spiral – Chemicals only kill mites, which is nothing more than treating symptoms They do nothing to fix the immune issues behind the problem. Chemicals only kill mites. Unless the immune system gets help, it’s not going to be able to do it job and the mites will bounce right back. Some dogs do just fine with drug treatment programs and their owners are comfortable with them (and that’s okay). But many people just don’t realize they have options. Some dogs don’t fare so well and their owners only find us as a last resort (and that’s regrettable). Some folks think alternative treatments are pure snake oil (and that’s wrong). And as more information about chemical treatments is revealed, a greater number of responsible pet guardians are looking for a safer way to help their dog (and that’s awesome). 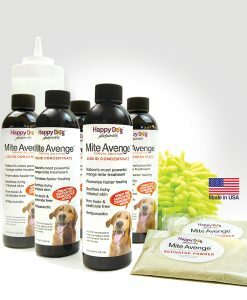 Mite Avenge® safely cures mange without toxic chemicals. It will also make your dog an egotist. Today, more and more pet owners demand safer alternatives and seek a natural route. Sadly, information on natural options is scarce. There are many home remedies and commercial products available for treating mange and we recommend following a holistic plan that kills mites and remediates the underlying root problems such as diet. Click here to read How to Starve Mange. 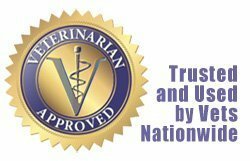 There is a space for both chemical & natural treatments – the treatment choice for you should be what’s best for you and your dog. Our free e-book has much more information than we can provide here. 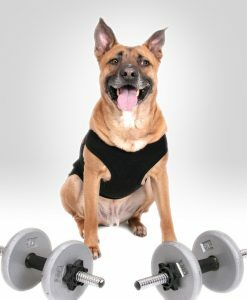 It’s sure to be of benefit as you guide your dog back to health. Click here to download our e-book. Our natural approach safely kills mites without caustic or toxic chemicals. 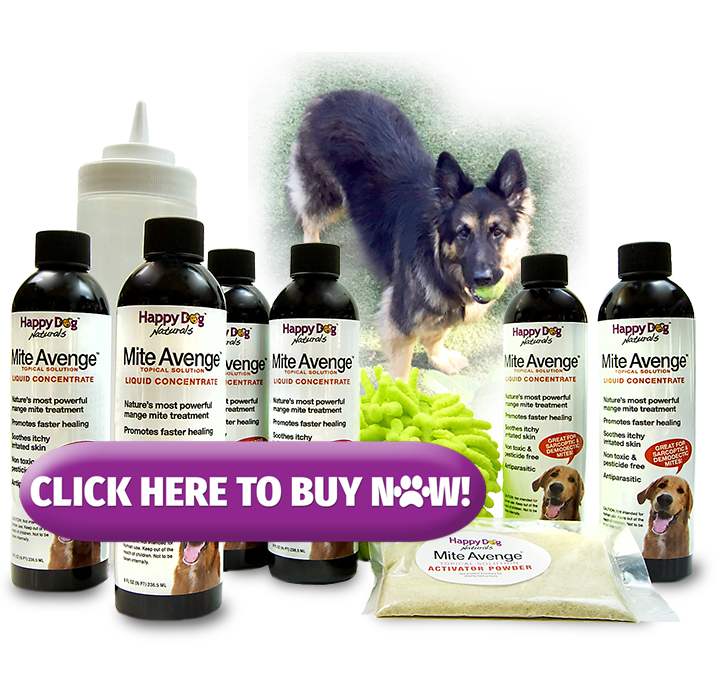 Mite Avenge® is the most effective natural mite killer you can buy and Happy Dog Naturals® is the only source that explains all the facts and offers a proven solution. Demodex is an intertwined disease that responds well when treated holistically. Here is the most comprehensive holistic program you’ll find. It’s the program that’s saved thousands of dogs. We’re honest enough to be upfront with what’s involved even though it costs us business from those not willing to undertake a multi-pronged approach to cure demodectic mange. We built this company to help you be the best guardian-advocate a dog could have and the products we offer are selected to give you the expert tools to help you win the battle against mange. Mite Avenge 6-Pack, plus options for recommended treatment items. Here’s our 6-step plan to treat Demodex – holistically! Here’s how to apply Mite Avenge® like a pro. Now, go forth and save your dog! What type of mange is it? If you’re unsure use our mange Symptom Checker. Things your vet didn’t tell you. How to develop a holistic treatment plan.